At long last I can reveal some finishes! 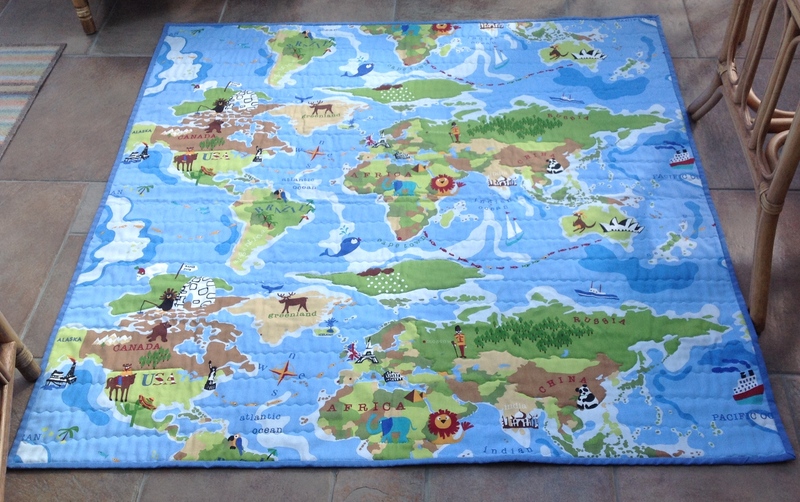 Loud drumroll please… I have actually finished the playmat for my grandson Farris and given it to him a few days before his first birthday. I made it, in more ways than one! 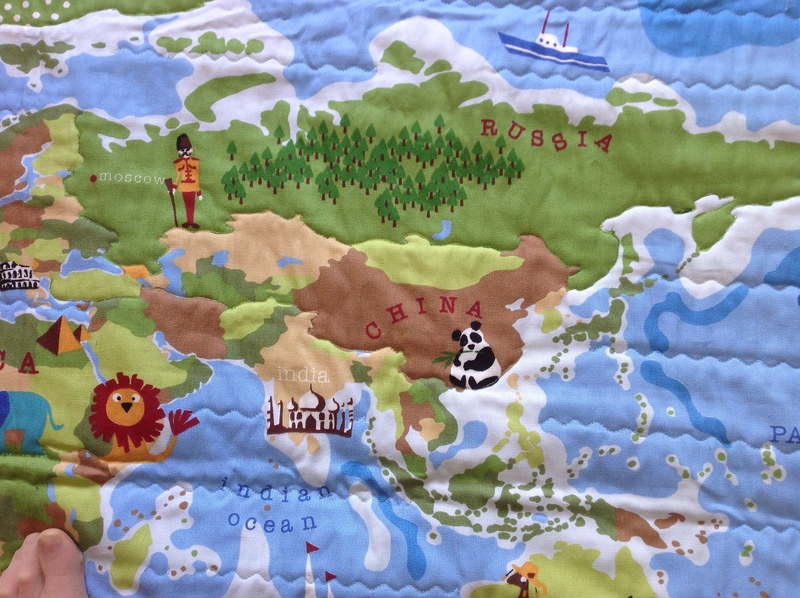 I’ve been adventurous and tried some free motion quilting around some of the countries where I needed extra quilting to ensure the wadding doesn’t move when the mat is washed. It was fun to free motion quilt on something a bit bigger than a mug rug. Then I finished my table runner for Easter. I don’t usually make things in such light colours for my dining room and it made a real change to work with some of my favourite colours. When I originally put my Easter table runner on the dining room table I felt it needed something in the middle. Unlike at Christmas I didn’t want to put a candle there, so have displayed some of the clay work my daughter made many years ago. It brings back happy memories looking at it and it’s great to have it out again. Today at my quilting class I enjoyed sewing the bag my sister in law and brother in law gave me in kit form for Christmas. 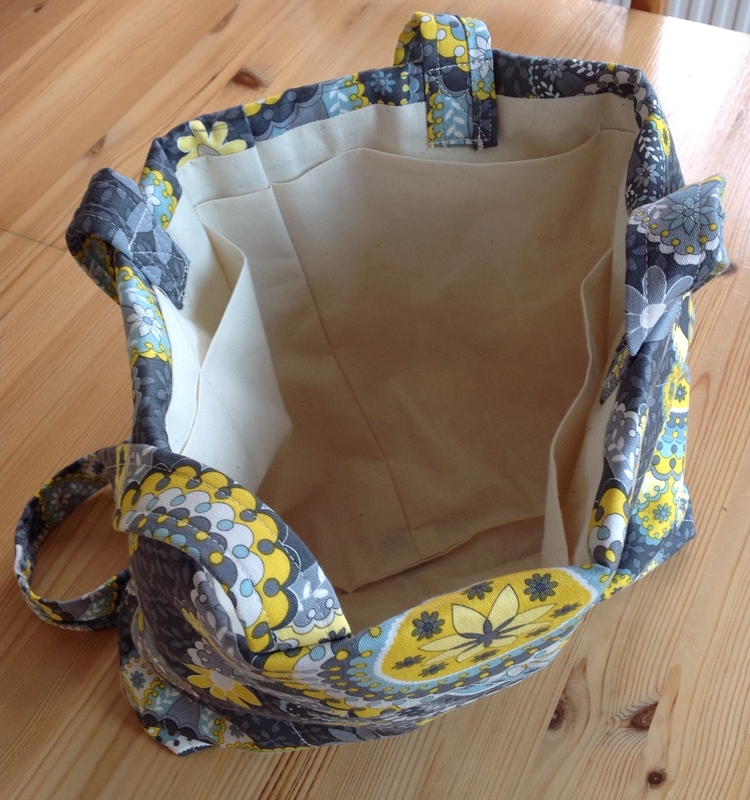 The bottom of the bag is quilted and it is finished with a turn down cuff at the top. We were all intrigued to see how the pattern went together as it was quite different to any we had used before. 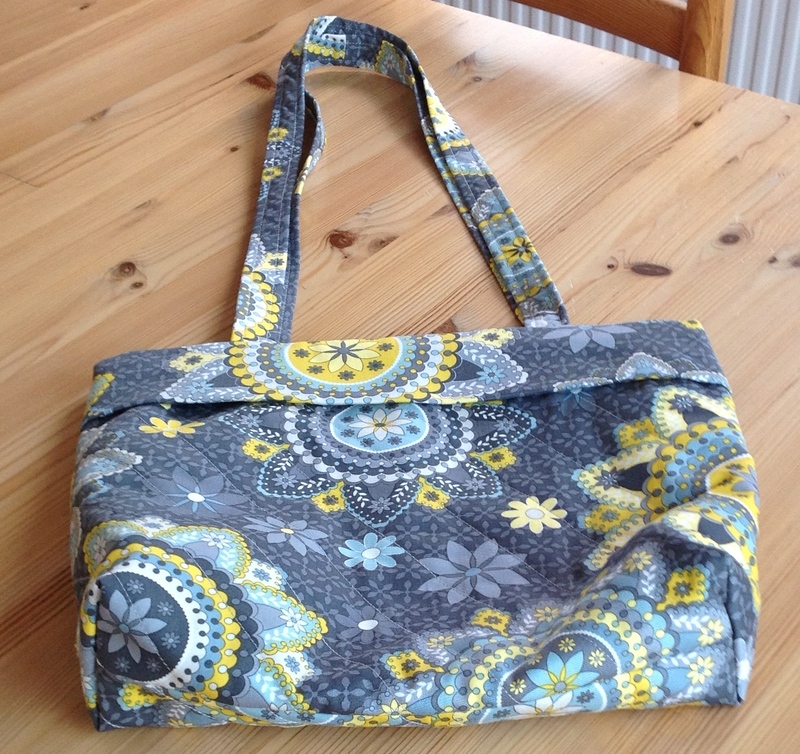 I am really pleased with it and love all the pockets inside. It seems quite sturdy to carry my things around in. I always like presses like this where you can learn new techniques and make some thing useful. Well that’s my total sewing pile for most of March and the beginning of April. I need to go back and work on my individual quilt blocks again now. 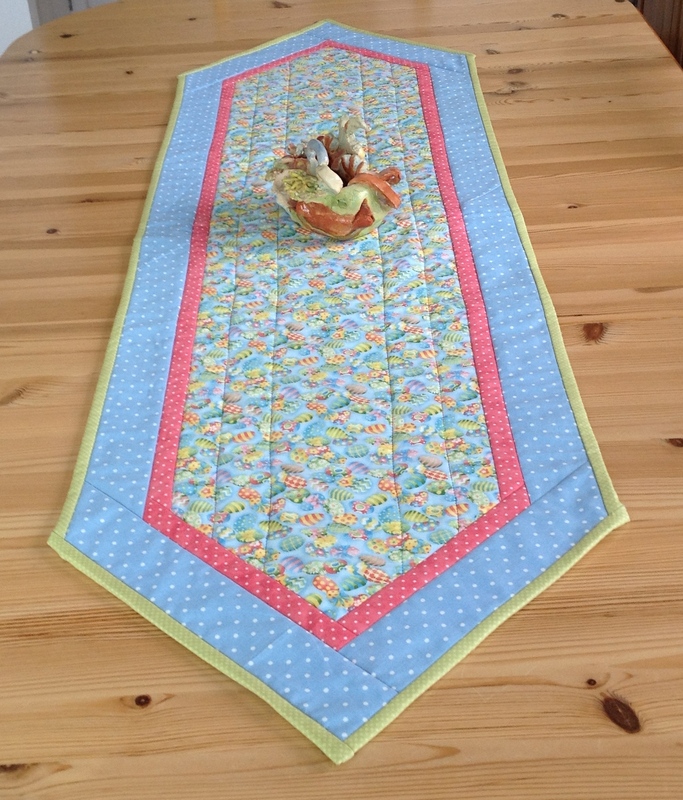 This entry was posted in Braintree Quilters, Gifts, Quilting, Quilting club, Sewing and tagged bag making, Braintree Quilters, play mats, Quilting, Sewing, table runners by ljshead. Bookmark the permalink. Thank you Valerie. I tried hard to make it look like waves on the sea.